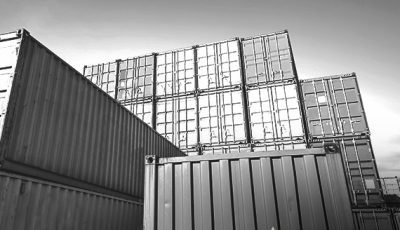 Trade finance is a crucial artery for the world’s economy, with the World Trade Organisation estimating that between 80 – 90% of global trade relying on this method of financing. 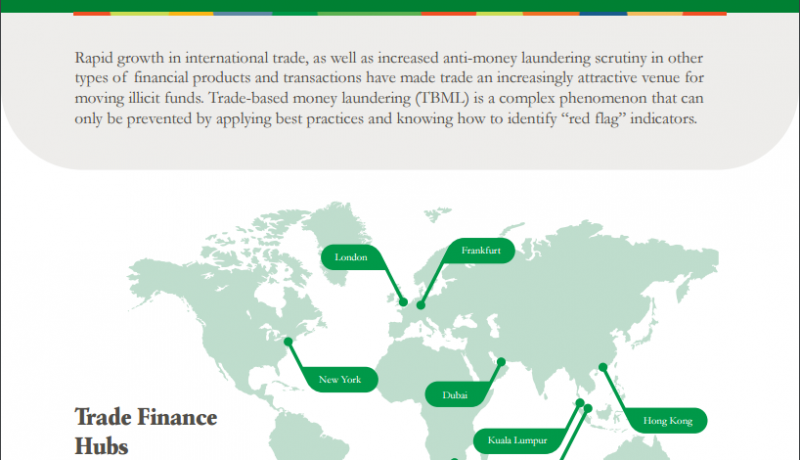 Rapid growth and regulators’ ability to identify conventional money laundering techniques have made international trade an attractive avenue to move illicit goods. Thank you for your interest in our resources and insights. 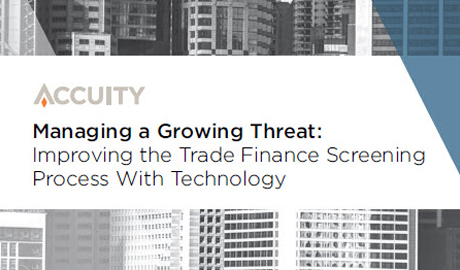 You can access “Managing a Growing Threat Whitepaper” by clicking the link below. 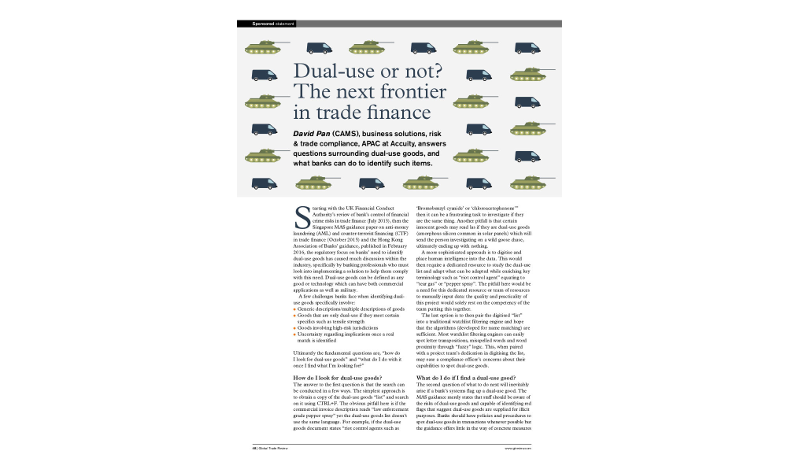 In an article in the Sibos 2016 issue of Global Trade Review, David Pan (CAMS), business solutions, risk & trade compliance, APAC at Accuity, answers questions surrounding dual-use goods, and what banks can do to identify such items.